Last year we saw copper hardware and patterned tiles break into mainstream interior design. They seemed to be in every newly opened cafe, bar and restaurant! This year we expect to see a move towards calmer colours and more greenery by bringing plants into our homes. This year we will see a shift in colours away from the bold tones of previous years into softer pallets. Pantone state that this is because consumers are searching for mindfulness and wellbeing as an antidote to modern-day stresses. 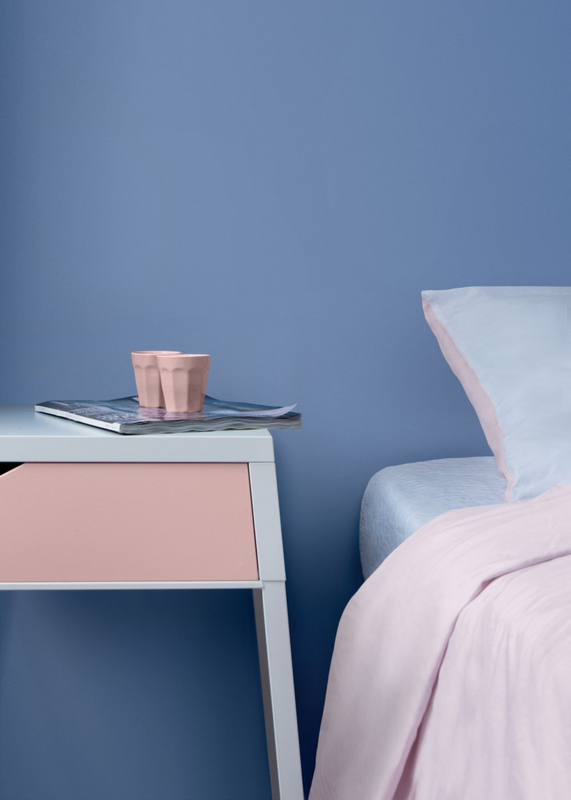 They have chosen two colours for this year, rose quartz and serenity showing a balance between warm pink and cooler blue tones. Mixing styles and materials is a great way of adding personality and individuality to your home. Positioning modern furniture in with antiques and mixing different materials together in one room, when done carefully, gives great results. Concrete work surfaces with warm wood, glass with metal or industrial style with romantic fabrics are all very effective. In this bedroom design we mixed a floaty feminine fabric with a tough dark eel skin wallpaper to give a contrast within the room. While 2015 was the year of copper we expect to see more gold being used in rooms this year. 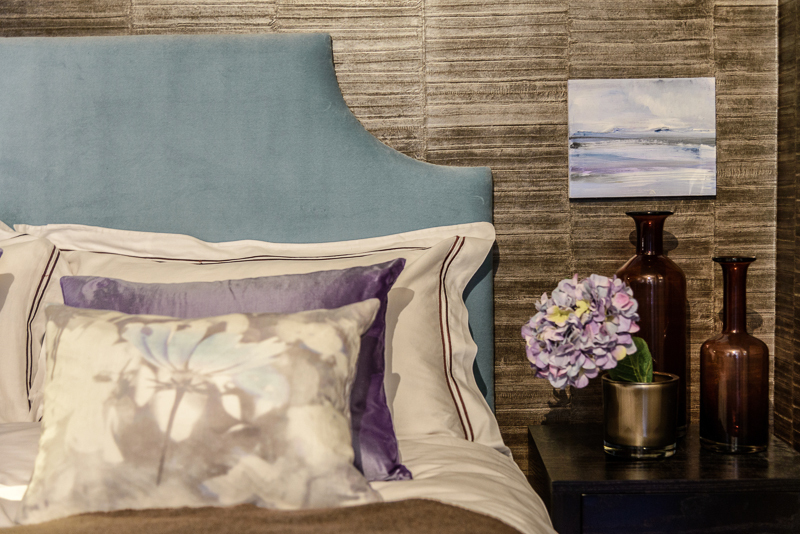 This trend comes from the catwalk and adds a shot of glamour to rooms. Think light fittings, accessories and cushions rather than the whole room. We are making some gold curtains for a client this week and we are regularly using gold linings for lampshades to give a flattering warm light. 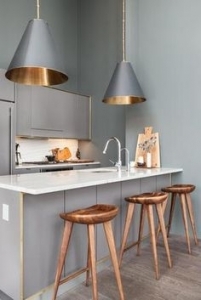 This image is from decoholic.com of a stylish kitchen in NYC.